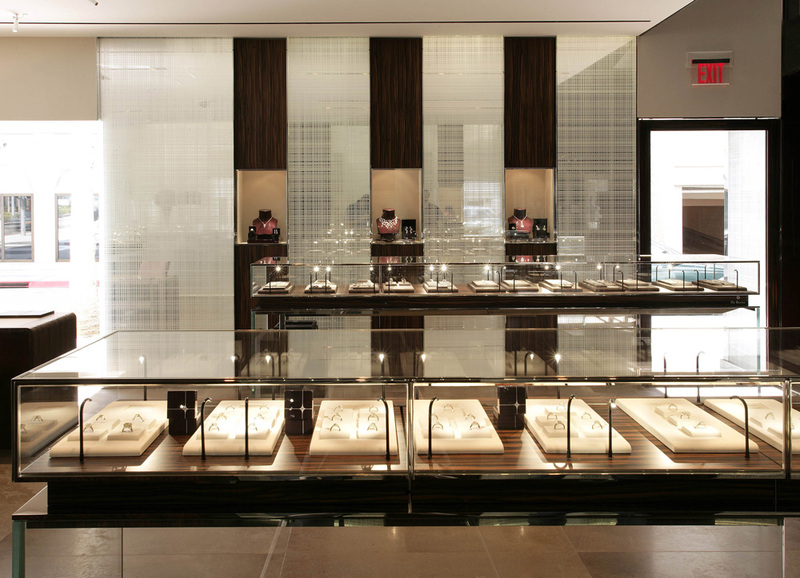 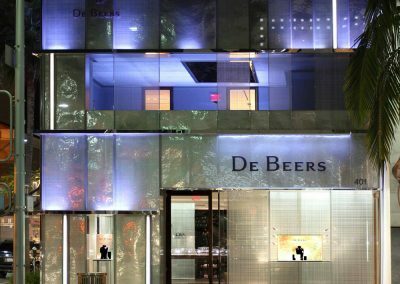 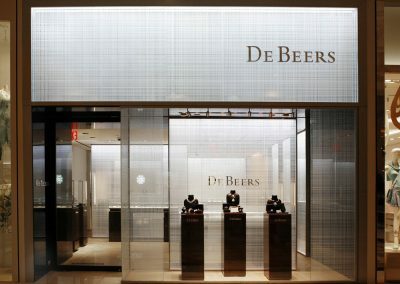 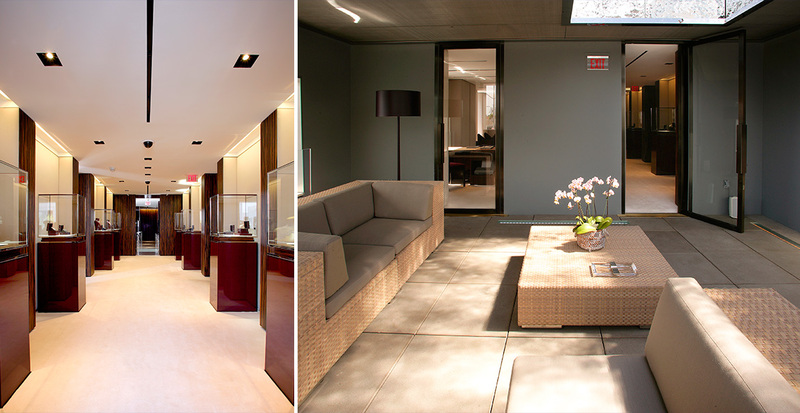 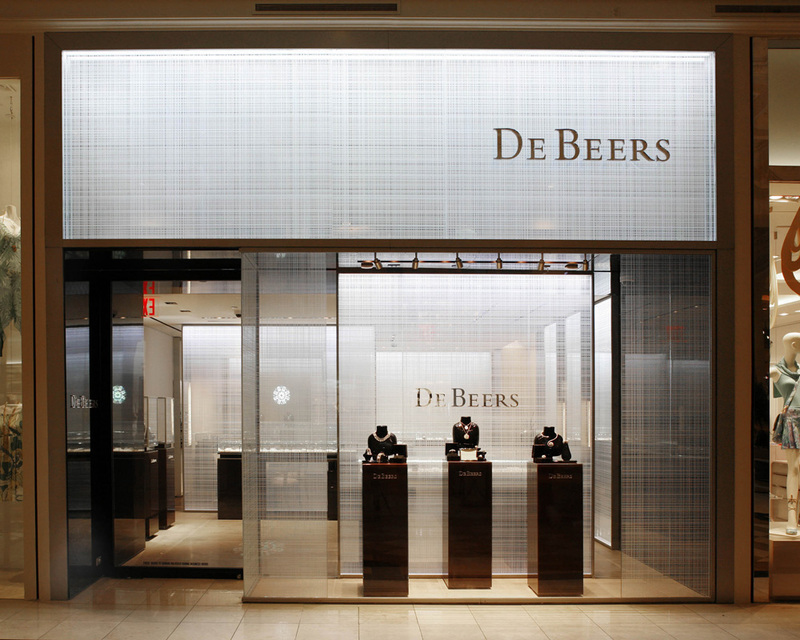 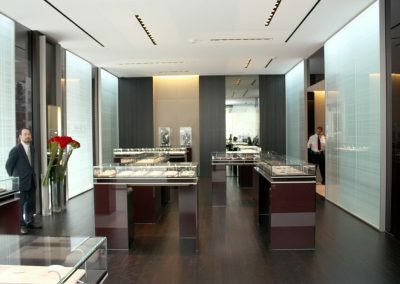 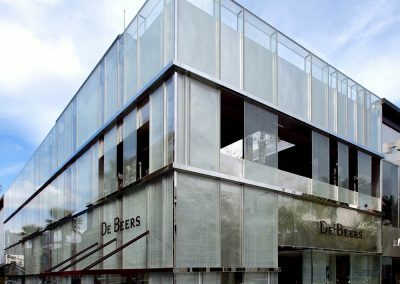 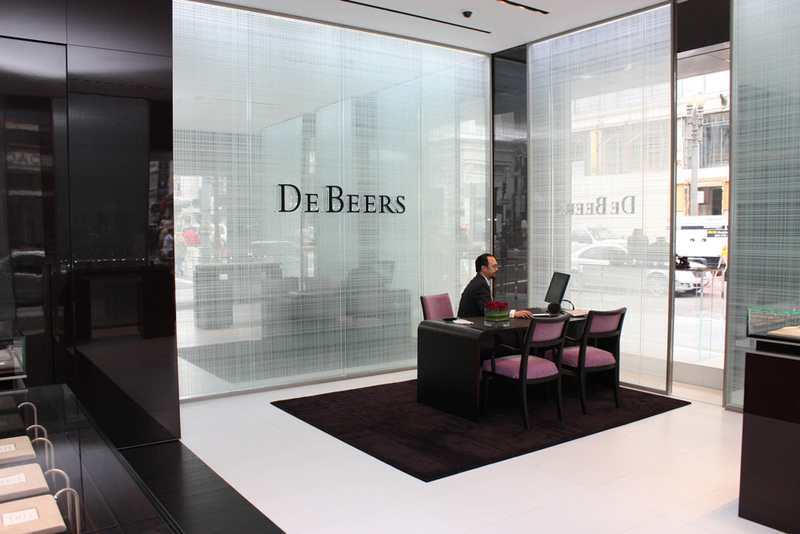 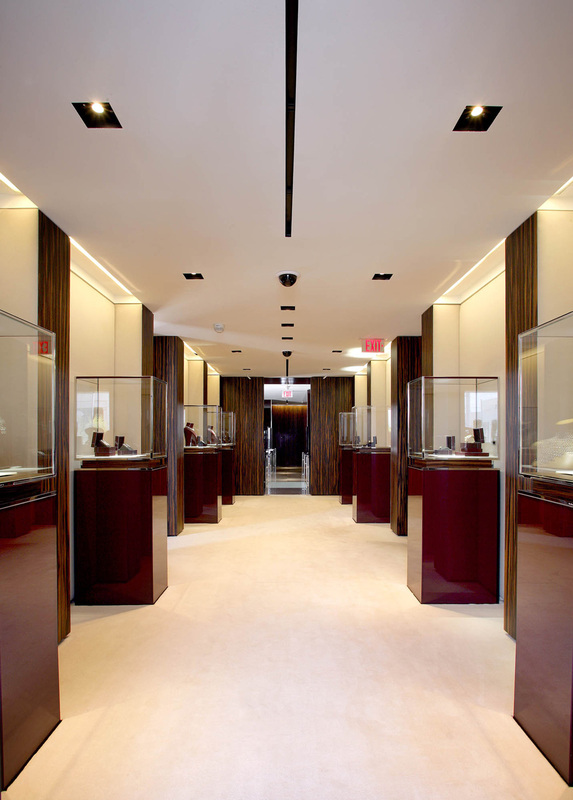 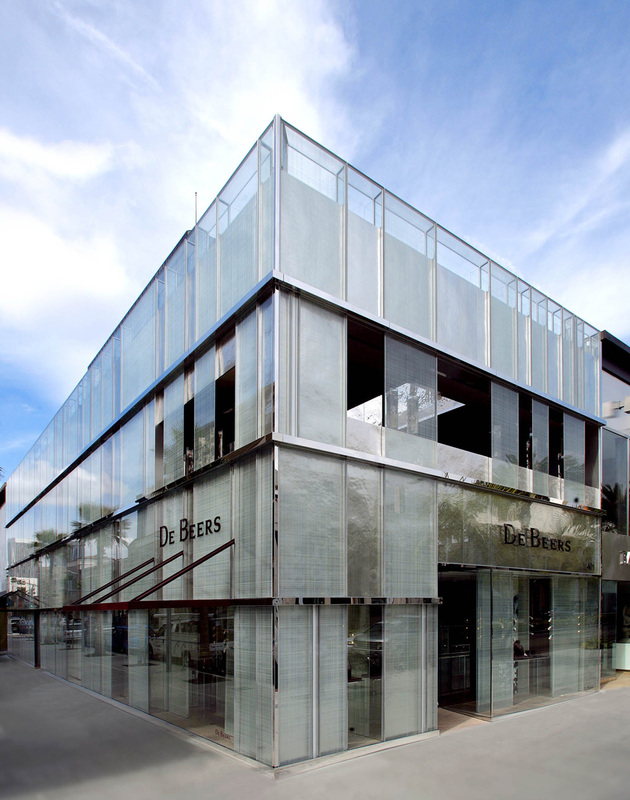 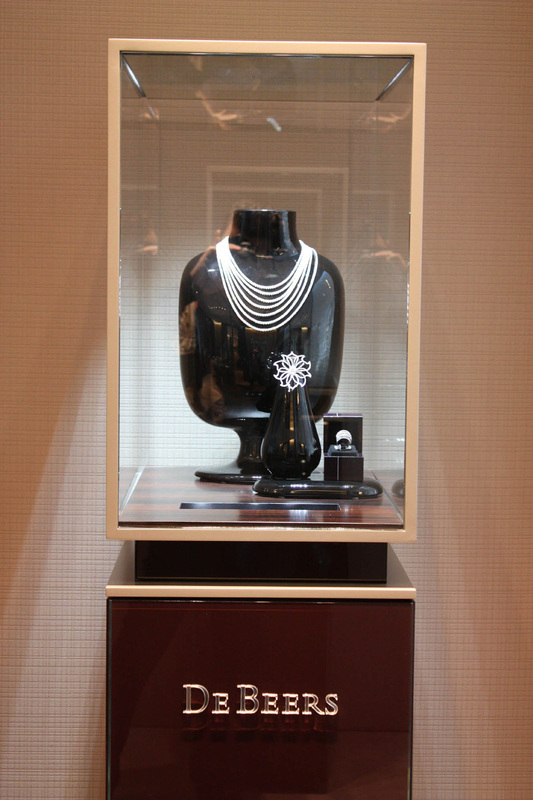 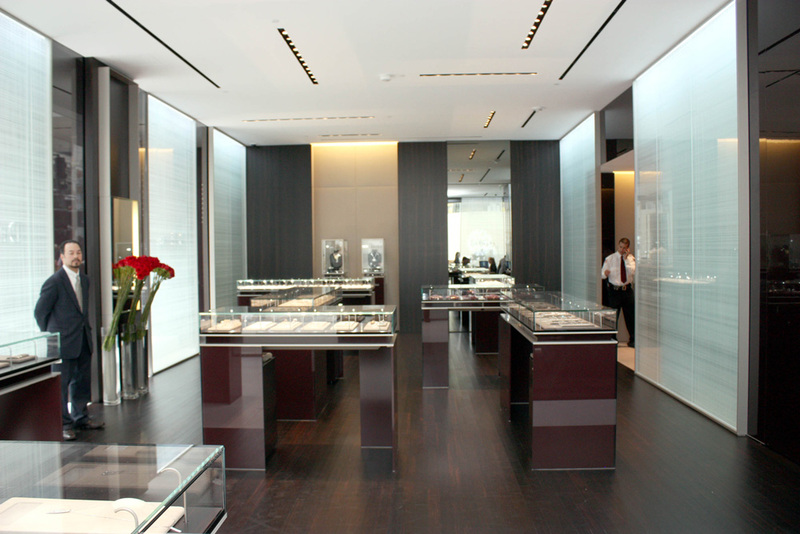 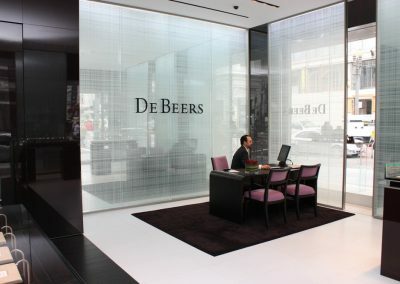 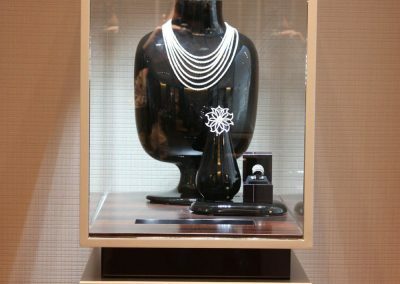 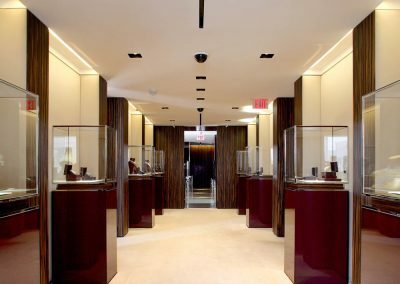 A new two-story 5,000-SF flagship store for the world renowned De Beers fine diamond jewelry. 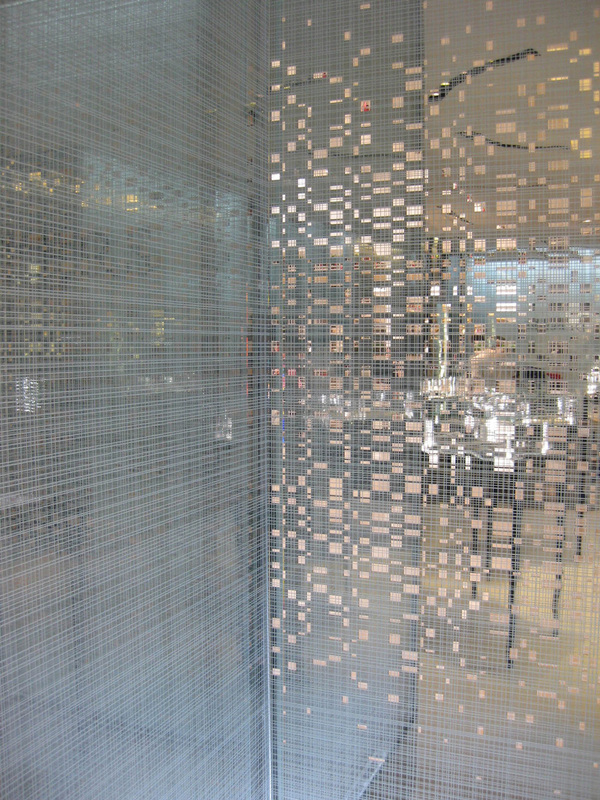 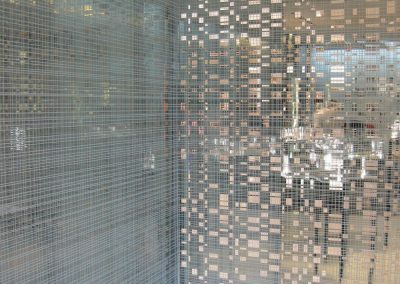 The interior walls and casework were fabricated and shipped from Milan, along with the unique storefront system of engraved laminated glass panes which are glazed into a hand hammered stainless steel panel system. 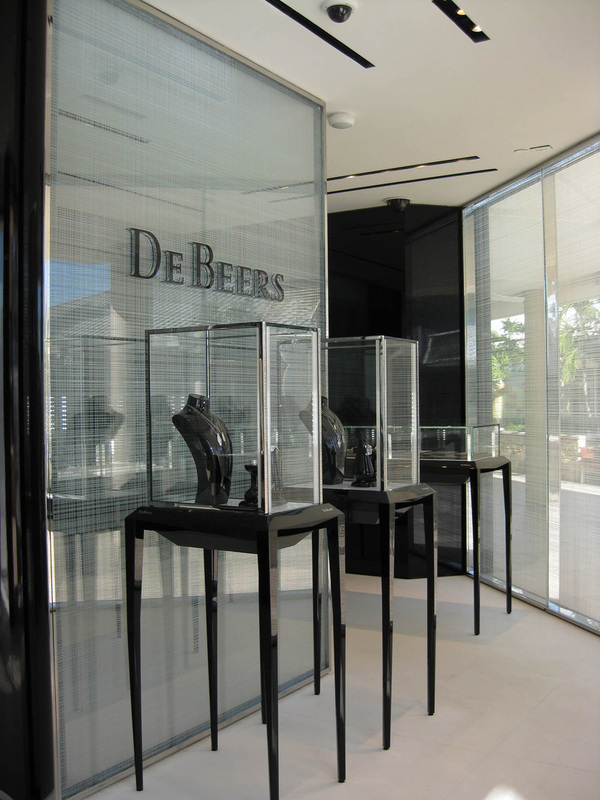 The store features a reflecting pool, a glass bridge, cutting edge fiber optic and LED lighting, state-of-the-art security system, and an open sky VIP terrace. 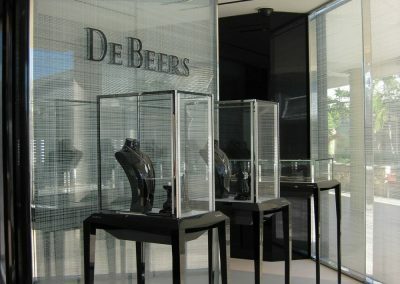 The project opened in December 2005. 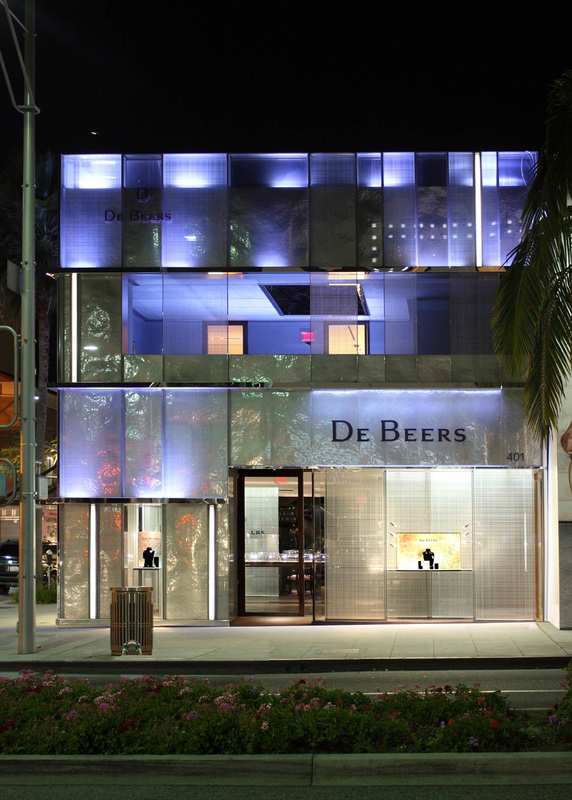 The project received an Architectural Design Award from the Beverly Hills Architectural Commission. 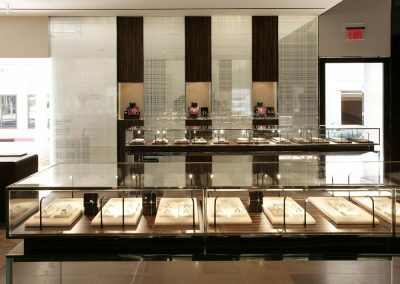 Gruen Associates is also the architect for 10 other stores in Boca Raton, Costa Mesa, Dallas, Honolulu, Houston, Miami, McLean, Naples, New York, and San Francisco.